Hole in the head is a disease that can affect any fish including bettas. While it’s normally more common in cichlids and discus it doesn’t mean your betta will never catch it. If you think your betta is suffering from hole in the head disease then you’ll have to act quickly. This betta hole in the head guide will give you all the information you’re going to need to keep your betta alive! 1 What Is Hole In The Head Disease? 2 What Causes Hole In The Head Disease? 3 What Are The Symptoms Of Hole In The Head In Bettas? 8 How Fatal Is Hole In The Head? Hole in the head is a disease is also known as freshwater head and lateral line erosion, or hexamitiasis. What the disease actually is remains unknown, there are a few factors that aquarists believe cause it in the first place. What Causes Hole In The Head Disease? While no one knows exactly what causes hole in the head disease, there are a few good ideas. And the good news is once you know the causes you can do your best to prevent them. Here are the believed causes of hole in the head disease. The main way people believe hole in the head is caused is a bacteria called hexamita. Hexamita is a type of parasite that lives in the intestines of bettas and all fish. Normally it is perfectly harmless, but if a bettas immune system becomes too weak, it can infect the other organs around the body. Eventually, it spreads so much, the sensory pores on the head of your betta also become infected. Once this happens they fill with pus to fight the infection. Eventually, these pus-filled pores will burst, and you’re left with a betta with holes in his head. Another cause is a lack of vitamins. One of the problems with betta fish is that they’re mainly carnivorous. Because of this, it can be harder for them to get the vitamins they need into their diets. Specifically vitamin A & C.
If you’re not feeding your betta high-quality food then the lack of vitamins can cause your betta to suffer from hole in the head as he’ll be too weak to fight it off. One of the quickest ways you can make your betta sick is by leaving him in poor water conditions. If he’s living in poor water conditions then it is much more likely he will get hole in the head disease, as well as a whole myriad of other illnesses. Poor water conditions can be caused by not changing the water frequently, overcrowding, and leaving decaying debris on the substrate. As well as poor water conditions, fluctuating conditions can also weaken a bettas immune system. If the temperature isn’t constant or the pH isn’t constant then your betta is going to become extremely stressed. 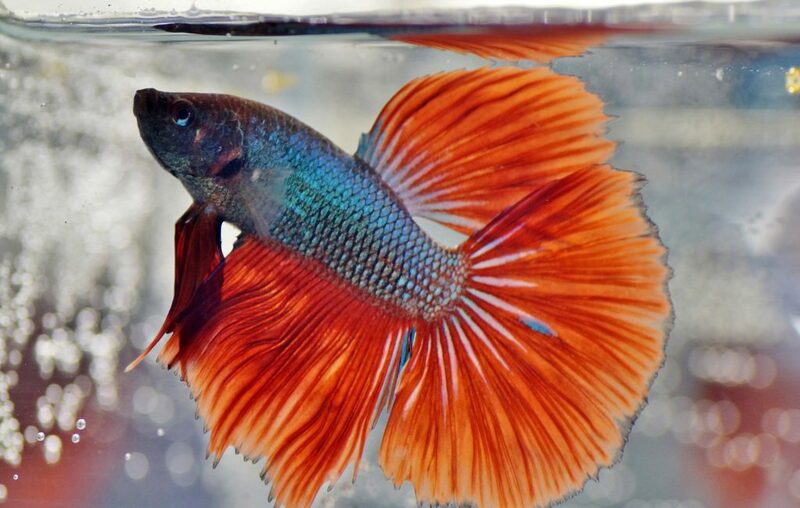 In fact, if the pH fluctuates too much your betta can even suffer from pH shock which could kill him as well. Getting a bettas pH level right is extremely important. Here’s a full guide letting you know everything you need to know to keep it safe for your betta. What Are The Symptoms Of Hole In The Head In Bettas? The sooner you treat hole in the head, the more likely it is your betta is going to survive. If you only notice that your betta is suffering from it when he has lesions on his head, then it may already be too late. Apart from the actual holes in the head, this is one of the symptoms that will let you know it’s hole in the head disease. If you look at your bettas feces it will be white, and stringy. Your bettas intestine will produce more mucus in an attempt to fight the infection. The mucus also comes out in the feces which gives it it’s white, stringy appearance. Another symptom that often appears is a loss of color. Because bettas are naturally so colorful, you should notice this symptom fairly quickly in your betta. However, there are a lot of reasons your betta may show loss of color. So before diagnosing it as hole in the head make sure there are other symptoms as well. 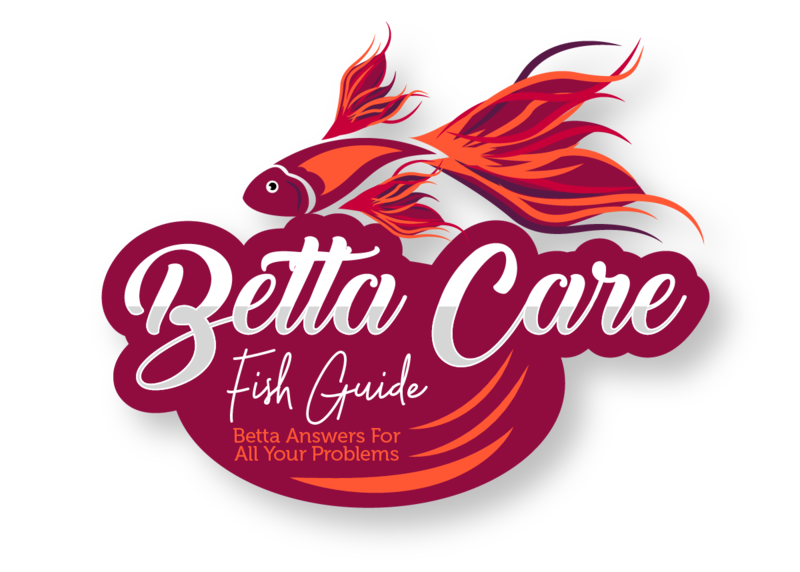 Other common causes of loss of color in your betta are depression and stress! Because hole in the head starts in the intestines, one of the first signs you’re going to notice is a loss of appetite. Once your betta stops eating for a certain amount of time you’ll also notice that he’s beginning to get emaciated. When you notice this you should be checking your betta over to see what’s causing the sickness. Loss of appetite can also be caused by a lot of illnesses including dropsy, constipation and swim bladder disease. Finally, as the infection spreads through your betta’s body you’ll begin to notice deep holes in his head and body. At this stage, it’s a lot harder to cure hole in the head, and your betta doesn’t have a good chance of survival. To treat betta hole in the head you’re going to need to get some medication. The preferred medication is dimetridazole, however, if you can’t find any, you can also use metronidazole. When using medication such as this it’s important that you consult a vet or your local aquarium store to make sure you’re using the right doses. In America, you may be able to get this medicine over the counter, otherwise, you’ll need a prescription from your vet. There are two main ways that you can treat your betta. You can either medicate his food, or the water in the tank. In both cases, however, the first thing you should do when you spot any symptoms of illness is moving him to a quarantine tank. Medicating a tank will affect all living things. Including any fish, plants or bacteria in the tank. So it’s always wise to set up a quarantine tank. Although it’s not likely, sometimes your betta will still be eating when he’s suffering from hole in the head. If he is then it normally means that he’s still in the early stages and treatment is more likely to be successful. To treat your betta with food, all you have to do is medicate it before you feed it to him. You should ask a professional about dosages and routine as there are a lot of circumstances that can change the doses. If your betta isn’t eating, then the only other alternative is to treat the water. If you plan on treating the water it’s even more important that you move your betta to a quarantine tank, as the medicine will spread everywhere. Once you’ve moved your betta to a quarantine tank you should begin medicating the water. As a general guide, it’s recommended you use 125 mg per 5 gallons of water. However, you should ALWAYS consult a vet or professional beforehand to get the measurements exact. Otherwise, you could end up killing your betta. Pinpointing the cause of hole in the head can be difficult, prevention relies more on keeping your betta healthy. Here are the main ways you can prevent hole in the head. As you know, getting vitamins into your betta’s diet can be hard. Especially because they’re carnivorous. Normally fish get their vitamins from the greens they eat, but carnivorous fish can’t do this. That’s why it’s so important to feed your betta a lot of live food. When bettas eat live whole food, they’re also going to ingest the stomach contents of those animals. And if the animals have recently eaten plants then it’s going to slip into your betta’s diet. So along with high-quality betta pellets, you should make a habit of feeding your betta live foods such as daphnia, mosquito larvae and brine shrimp. You can also feed your betta bloodworms, but due to the fatty nature of them, you should only use them sparingly as a treat. You should also keep your bettas tank clean. Performing frequent water changes and cleaning the gravel are some of the best ways to do this. Once a week you should remove 10-20% of the water in the tank and replace it with fresh water. Once a week you should also vacuum the gravel in your tank. Any waste matter such as decaying food, feces, and dead plant is going to accumulate in the gravel and release ammonia into your tank. And high levels of ammonia are going to severely weaken your bettas immune system. And lastly, make sure you’re cleaning the filter regularly. The filter is like the kidneys of your tank. It’s working constantly to make sure the environment is clean. If you let it fall into disrepair, the health of your betta is going to be the first thing to suffer. When you’re cleaning your filter make sure you’re removing any blockages and that you’re not cleaning the filter media in normal water, otherwise you risk killing all the bacteria in them. Overstocking your tank is going to increase the amount of ammonia in it. And if your tank can’t handle the amount of fish in it, then they’re all more likely to get sick as the water becomes rampant with bacteria and parasites. However, this isn’t the only reason you shouldn’t overstock your tank. The other reason is that bettas are solitary fish. Sometimes they’ll be fine with other fish but other times they will be constantly on guard and aggressive. If this sounds like your betta then it’s best to keep him alone. Even though he’s being the aggressor, any time he flares he is stressed. And the more stress he has to deal with, the weaker his immune system will be. How Fatal Is Hole In The Head? If left for long enough hole in the head is often fatal. In fact, by the time you notice the final symptoms of a hole in the head, the chances of survival are a lot slimmer. At this point, it’s a lot more likely that a secondary disease or infection is going to infect your betta and finish him off. However, when caught early enough, especially if you notice your bettas feces, and if you act quickly it’s likely your betta will make a full recovery. So if you think that your betta is suffering from hole in the head disease then don’t put off treating him. At the first sign of illness, you should always quarantine and observe your betta. When you notice the symptoms of hole in the head in your betta especially white stringy feces, you should begin treating him with dimetridazole. And remember you should be aiming to prevent hole in the head from occurring in the first place by feeding your betta a balanced diet and making sure the water is clean!